Interested in West Chester Real Estate? When searching for Homes for Sale in West Chester Area School District or West Chester West Borough you may want to consider the neighborhood of Bradford Pointe. It is a community in West Chester Borough, Chester County PA. Size ranges from approximately 1,900-2,200 sq. ft. Interested in Downingtown Real Estate? When searching for Homes for Sale in West Chester Area School District you may want to consider the neighborhood of Bradford Pointe. . It is a community in West Chester Borough, Chester County PA. If you are interested in Homes for Sale in West Chester or in the West Chester Area School District or any of these specific properties in Bradford Pointe, please contact Ann Byer. Ann is with Keller Williams Exton, 100 Campbell Blvd., Suite 106, Exton PA 19341. Ann would be happy to give you a personal tour. Here are some reasons West Chester Borough is a great place to live. All information provided is deemed reliable but is not guaranteed and should be independently verified. Interested in learning more about other West Chester PA neighborhoods or West Chester PA Real Estate? This site provides details about homes along with photos and market statistics. In addition, it has charm, the downtown area is walkable and is a safe place to live. However, you will want to tour homes for sale in West Chester Borough so you can see for yourself why this location is ideal. 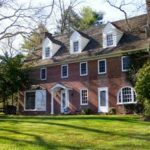 Find your next home in beautiful Chester County, PA. Find out more if you are interested in local events, restaurants, schools and attractions.